Ski sailing has been practiced by the Europeans for several years. 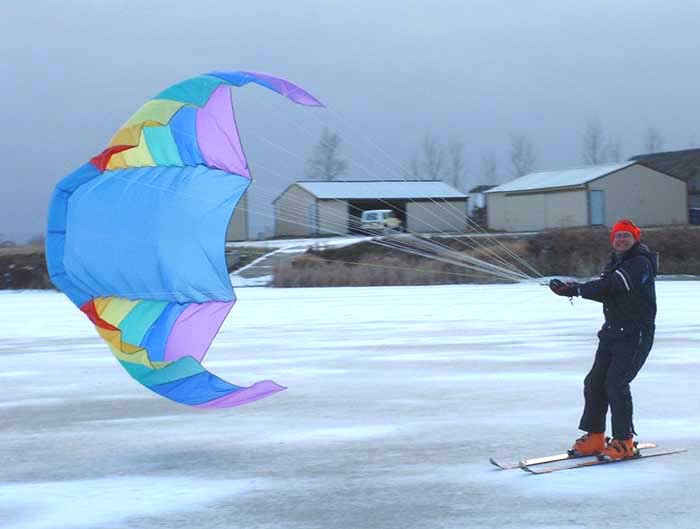 The Norwegians pioneered the sport when they discovered that attaching sails to skiers aided in long cross-country treks. The sail is controlled like a parachute but has the ability to tack like a sailboat. The photo shown below shows the tacking position of the sail. When going downwind, the sail is steered to a higher position. Cross-country skis as well as downhill skis can be used.